Banksy’s Love is in the Bin—the work sensationally shredded by remote control during an auction at Sotheby’s in London in October last year—will enter the collection of the Stuttgart Staatsgalerie as a long-term loan, the museum says in a statement. The painting will first go on show in a four-week exhibition in Baden-Baden, Germany. Acquired at the London auction by a female European collector, the painting will go on show at the Staatsgalerie from 7 March, where it will be in the company of works by Rembrandt, Holbein, Marcel Duchamp and Picasso. 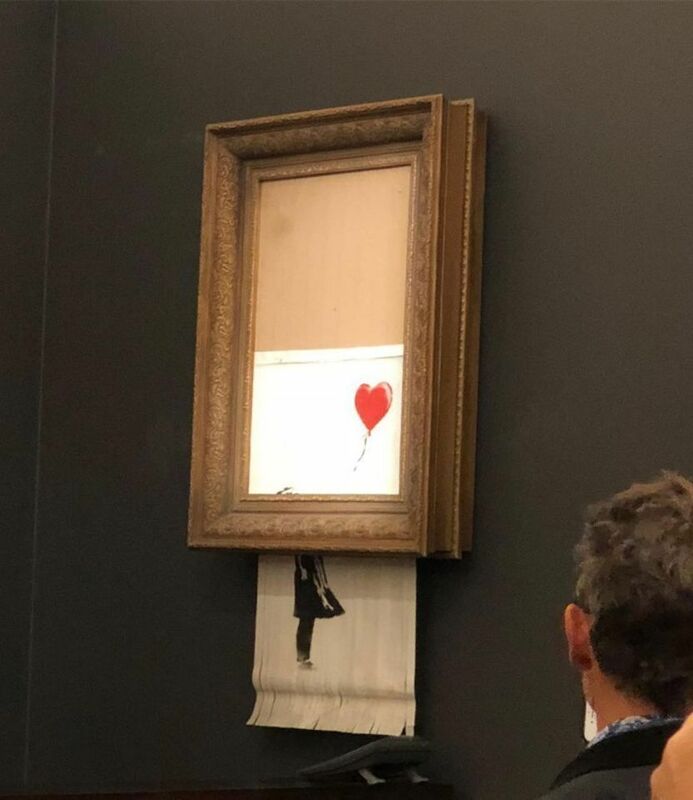 The Staatsgalerie says it plans to show Banksy’s half-ribboned painting of a girl with a balloon in different locations around the museum and invites visitors to go in search of the work. First the work will go on show at the Museum Frieder Burda, a privately owned institution in the spa town of Baden-Baden (2 February-3 March). Can Banksy achieve hallowed museum status? The Museum Frieder Burda says in a statement that the exhibition will be accompanied by a series of special events, including a lecture by the Banksy expert Ulrich Blanché on 7 February and a podium discussion on 14 February. The show will include short films about Banksy and a documentary about the London auction. Admission will be free, though the museum is asking visitors for donations towards a project to integrate young refugees. Banksy’s auction stunt in October was one of the most widely reported art stories of last year. The artist gave his work its new name—it was originally titled Girl with Balloon (2006)—after it appeared to self-destruct just as the gavel fell, it being the final lot of the night. The winning bidder agreed to buy the new work at the original price saying she “would end up with her own piece of art history”.